I recently was made aware of something that I mentioned on Facebook, but I believe it needs some elaboration here. The preaching minister of Jesus Christ is not an “add water” movement. Too many churches and pastors are “in a hurry” when it comes to the preaching ministry and would rather “microwave” an unqualified minister in the hopes that they’ll be “just fine” after while, instead of “cooking” like momma used to – on the stove of experience, no matter how long it takes, and then serving it when it’s “just right.” Those who say God has called them on Monday have no business being ordained Wednesday night. It makes a mockery and it cheapens the ministry – the process is valuable. Even Jesus’s disciples went through a process. Even the Apostle Paul went through a process. And I’m sure 99.99999% of those ministers who will read this understands that this “instant ordination” cheapens the integrity of the process. Several years ago, I preached a revival for a senior minister, of which I was then and still are grateful for the experience. As I sat in the study waiting to come to the pulpit, I was praying and stood up to get ready to walk out of the door and glanced at the wall. The Pastor had his educational degrees on the wall – his bachelor’s degree and his master’s degree and his doctorate degree. Strangely, they were all dated on the same day – meaning that he was awarded the degrees at one time. I never asked him about it (none of my business) but I’m sure for many who saw it, it didn’t win over any hearts. The same can be said of any minister who is ordained prior to preaching – it makes them a punchline instead of a headline. It creates an unnecessary lack of credence to a minister even before they open their mouth. And it prepares the soil for arrogance, hostility and self-importance. I learned order as a child. For example: A, B, C, D . . . For example: 1, 2, 3, 4 . . . For example: God, Family then Church. And I also learned (and this is written from the perspective of a baptist minister) – confession of the call, preparation of the initial or trial sermon, then licensure and then ordination. This is not a case of getting the cart before the horse – it’s a case of getting the cart out and forgetting the horse. There has to be an order – a method to this gladness. For me, I still treasure that meeting with my pastor, Dr. A. Bernard Devers, I, to confess my call to preach. I still cherish those 5 months he gave me to prepare my first sermon (which I must have rehearsed 100 times over and over). I still cherish that one year and five months of waiting until I was licensed (man, that taught me patience), and then I cherished the time (and I never pushed the issue) of between licensure (1979) and ordination (1984) and that was AFTER serving as Co-Interim Pastor at my home church and serving as candidate for pastor and/or acting pastor in several congregations. There has to be an order for ministry and any minister who “jumps the line” and goes from call to ordination cannot be taken seriously. This morning when I rose, thankful to God to see another day, I had an announcement in my e-mail concerning the organization of a new group that was forming. It is the third such notice I’ve received in the past three weeks and unfortunately, split happens. 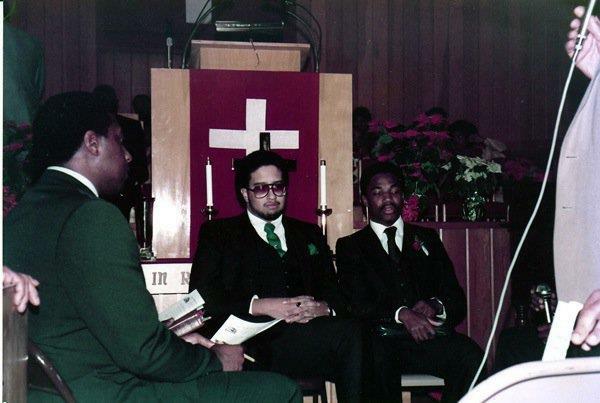 When I began in ministry in the 1970s, there were just (for Baptists) three major baptist conventions – the National Baptist Convention, USA., Inc. (NBCUSA), the National Baptist Convention of America (called “The Boyd Convention” or NBCA) and the Progressive National Baptist Convention, Incorporated (PNBC). Each convention was distinctive – the NBCUSA was the largest and numerically a powerhouse with members throughout the nation, especially strong in the east and north. The NBCA was strong in the south and was making strides in missions and evangelism. The PNBC was “the thinking man’s convention” where many of the baptist educators and social crusaders made their denominational home. Churches and Pastors identified rapidly with one of the three. NBCUSA and NBCA met the first week of September, religiously and PNBC met in August, although there was a sizeable percentage that were “dually aligned” with PNBC and one of the other two conventions. Convention halls were packed. Schools were benefitted (although in retrospect it wasn’t strong as it should have been). Properties were purchased or developed in Florida, Louisiana, Texas, and other parts of the country. However, today there is a plethora of “national bodies” or fellowships or partnerships or ecclesiastical groups that have been borne out of conflict, burden, personal vendettas, election fall outs – and the end result is that we are in a time of where conventions increasingly no longer matter, enthusiasm for said conventions is waning and it’s becoming a game of political leapfrog (hopping from one group to the next) for a generation of preachers – which leads to the next generation of pastors and preachers rebuking all of it because of all the disunity. State bodies are not exempt. District or City bodies are not exempt. It is a spirit of division that has taken hold in the black baptist community and if you tick off the wrong person, a “reformation” will be formed with cassocks and titular hats to replace cooperation, trust and team building. When NBCA split in 1988-1989, I had just been called to my first church in Portland, Oregon and I remember the pain of not being able to see my friends that I “grew up with” in the conventions since my teenage years. It was an ugly, needless split and the division lines were not blurred, they were sharp. I remember saying to my pastor “why does the convention have to split?” He simply said, “split happens.” In those two words, they were both analytical and prophetic. a. It’s going to take a meeting of the minds and some acceptance of either other’s differences. To tell the truth, we all complained, rightly so, about the divisiveness of the Tea Party, but they may have gotten some of their training from watching how we as baptists operate. We need common goals – saving Bishop College should have been the clarion call that kept three bodies together. We missed a golden moment. c. It’s going to take some failure. Some of these groups, honestly need to fail. There needs to be some serious assessment and then foreclosure of some of these groups who have started out so that the Baptist Church can come home. Is being a Bishop worth tearing up a group that was feeding the hungry? Is being an Adjutant to the Ninth Presiding Elder of a 40 church “International and World Wide” fellowship worth destroying years of fellowship on the local level? I am 53. Most of my years are now behind me and I’m starting to feel like Dr. Gardner Taylor used to feel. Dr. Taylor had the desire to see all the of the Baptist Conventions meet jointly one time before his death (thank God it did happen and Dr. Taylor is still alive). My desire is greater, I don’t want us just to come together. I want us to stay together, to break a spiritual curse. Normally, I’m honored when news services pick up “The Wire” or other web sites pick it up as well. I’ve been writing ever since I can remember and I’m always encouraged by those who have been kind through the years – Gospel Today Magazine, the National Baptist Union-Review, the Skanner Newspaper, and the various electronic media outlets. God is too kind. However, the conversation about my recent article on “The Preachers of L.A.” has actually grieved me. I’ve turned off all of the comments on this article because frankly of the negativity that it spawned. I don’t mind dialogue – but when it starts to rise to the level of personal attack – it is beyond the pale. I’m not a sold-out fan of the show by no stretch of the imagination, but I don’t think I need to facilitate below the belt, personal attacks on the “stars” of the show. At the end of the day, they are still pastors and carriers of the Lord’s gospel. What tipped me over the edge was a radio program and I was listening to a black minister from Dallas who was disparaging these ministers for the mistakes they had made in their personal lives (which had NOTHING to do with the current program) and I couldn’t stomach the continual attacks made by this “minister” who has made a name in the white evangelical world by tearing down black preachers. My column was about the show itself and how it flowed. Would I still listen to Noel Jones preach? Absolutely. What about Clarence McClendon? I’ve met him as late as of the Full Gospel meeting in Louisville. Would I buy a Detrick Haddon song? Absolutely (if it was worth it). Do I still watch Ron Gibson from time to time? Yes. But I will not become worst in my criticism than the show. These (and Wayne Chaney and Jay Hazlip) are still leaders (except Haddon) of congregations and Pastors. I have met or know personally most of the preachers on this show and I don’t know if it’s necessary or helpful to display them in this manner. Throughout the show we saw Bentleys and Rolls Royces and Hummers and other luxury cars – there’s not a thing wrong with it. I didn’t say they promoted it – I said that the perception, presented by the producers via camera shots placed that emphasis there. I do believe that the laborer is worthy of his hire. I do know that several of these pastors, as identified on the show, have revenue streams outside of the ministry of their local church. There are mega-pastors out there that do not solely depend on their church for their livelihood. I get that. But I will not beat the drum in a parade that is crying out “crucify them.” I cannot and will not do that. Bishop Thomas L. Westbrook — pastor of the Tacoma church he founded in 1957, father of 11 children and a spiritual father figure for many more — died Thursday night at age 89. He died in a hospital in St. Louis after falling ill on a flight from Sea-Tac Airport. Westbrook, who took part in the D-Day invasion, was to catch an honor flight in St. Louis for veterans and visit the World War II memorial in Washington, D.C., for the first time. Westbrook started New Jerusalem Church of God in Christ, located on the Hilltop. He became a bishop in 1977 and oversaw the denomination’s Washington State Jurisdiction. His church, at 1623 S. 11th St., sponsors apartments for low-income residents and a feeding and clothing program. Westbrook is the second African-American church patriarch to die in the last two weeks. The Rev. Joseph A. Boles died Sept. 23 at age 90. People from New Jerusalem and beyond came to Westbrook for advice. Westbrook gained national prominence in the Church of God in Christ in 1992. For 14 years, he was chief justice of the Judiciary Board, the panel that interprets the bylaws and constitution for the Pentecostal denomination. “He was a giant of a man spiritually,” said McCain, noting that Westbrook was a spiritual father to more than 75 preachers. Born in Rison, Ark., Westbrook attended segregated schools growing up in Arkansas and Louisiana and dropped out of school in the eighth grade to work. At 18, he was drafted and served in an all-black Army truck company that serviced tanks at Normandy, France. He took part in the invasion of Normandy, McCain said. Westbrook founded New Jerusalem in September 1957 after moving to Tacoma, where a cousin lived. When the civil rights movement was at its peak in the 1960s, Westbrook supported other black pastors in Tacoma, including Boles and the late Rev. Earnest S. Brazill, who led protests to end discrimination against blacks in housing and employment. By fall 2005, Westbrook had started to hand over preaching duties to his son Eric and look toward retirement. But soon after, the younger Westbrook suffered a heart attack. He has lived in a Tacoma nursing home since then. In an interview with The News Tribune in early 2006, Thomas Westbrook didn’t hesitate when asked what kept him going during tough times. Westbrook submitted his resignation as bishop in June due to declining health, McCain said. Westbrook continued to attend New Jerusalem, which has Sunday attendance of about 150. But he stopped preaching after his wife, Lois, died in 2012, McCain said. They had been married 68 years. Son Kelvin remembered his father as a great dad and man. He was selfless, compassionate and put his care and concern for people first, said Kelvin Westbrook, who lives in St. Louis. “Tacoma was blessed to have him,” he said. In addition to his 11 children, Westbrook is survived by 31 grandchildren and 23 great-grandchildren. McCain said there will be a memorial service at New Jerusalem and a larger funeral service with national denominational leaders in Tacoma. Those plans were pending. The voice was the same: Rich and melodic, but with a hint of something many couldn’t quite place. Some 20 years since Ron Sailor Sr.’s voice boomed across radio and television airwaves, people still perked up when they heard him speak. In the ’80s and ’90s, Ron Sailor’s voice was a mainstay in broadcast journalism. Known for his edginess, Sailor took on people and subjects that many others wouldn’t. Sailor retired from broadcast journalism in 2000, and he turned his full-time attention to pastoring Christ the King Baptist Church in Dacula. Walter Ron Sailor Sr., known as Ron by all, of Buford died Sunday from complications of cardiac arrest while on his way to church. He was 61. A funeral is planned for 11 a.m. Saturday at Christ the King, the church he pastored for nearly 20 years. Burial will follow in the church cemetery. Willie A. Watkins Funeral Home, Historic West End Chapel, is in charge of arrangements. Sailor had recently stepped back from many of the day-to-day leadership duties at the church, said his wife, who has been pastoring the church since February. A native Atlantan, Sailor was a formidable opponent in the broadcast world, said Maynard Eaton, one of a handful of black reporters who competed against Sailor in the ’80s. While at Frederick Douglass High School, Sailor started a radio station, he told a reporter for The Atlanta Journal-Constitution in 2008. He went to Emory University, where his mother cooked for a sorority house, but dropped out after he got a job at the AM station WAOK, he said. In the 1980s, during the “missing and murdered children” cases, Sailor co-hosted on WSB-TV a kind of must-watch local “Nightline.” It was his big break, and he was not yet 30. Sailor’s rise seemed meteoric, until his testimony in the 1990 extortion and income-tax trial of former Fulton County Sheriff Richard B. Langford. Sailor’s trial testimony, about a $2,000 loan, contradicted earlier statements he’d made to a grand jury. A week later, he was no longer employed by the television station. Sailor got a job as a host for the former WIGO-AM (1340) and reappeared on TV, as a general assignment reporter for Channel 11 WXIA, a year later. 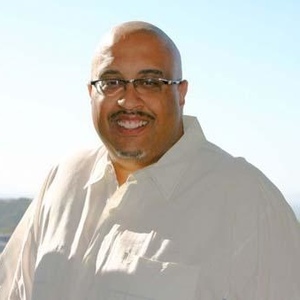 His radio career included owning WIGO and working as a news director at WALR-FM/Kiss 104.1. In the mid-’90s, Sailor relocated to Gwinnett County and became the pastor of the former Apalachee Baptist Church, now Christ the King. He’d seen his life go from the top of the mountain to the bottom of the barrel, but it was all a learning experience, his wife said. “One of his favorite quotes was, ‘Only when it is dark enough, can you really see the stars,’” she said. In addition to his wife of 13 years and two sons, Sailor is also survived by sons Antony Sailor, Ron Sailor, Jr., Christian Sailor and Chanz Wallace; daughter, Khaleah Wallace; mother, Rosetta Crowder; sister, Brenda Sailor; and one grandson. OK, I gave it a chance. 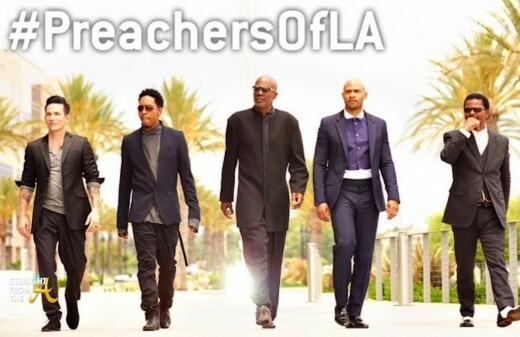 Last night, I sat down and watched the first episode of The Preachers of L.A. I didn’t know if I was watching Oxygen or BET or MTV with the heavy bass riffs. The visual arts of the show are strong – but most of the Preachers of L.A. don’t live in or minister to the crowds they show on the Beach, in Malibu, Big Sur, etc. # 1 – Why A Fight? I was stunned by the interaction between Deitrick Haddon and Clarence McClendon. Especially the rift by Haddon about “what’s wrong with the church” when he is shown throughout the episode as someone who fell and seeks redemption. The church didn’t cause his downfall and to say “that’s what’s wrong with the church” to me, personally, seems either hypocritical or delusional. McClendon has been around a long time and just studying his body language you could see him as an older pastor listening to the rants of a young pastor, who didn’t want to listen and just wanted to keep talking. I agree with McClendon – enough. It seems like TV producers (most of them white) always feel its better TV when you have two African-Americans going at each other. It’s sad and like McClendon said “I should have never agreed to this.” A mancave should not become a batcave. I have met or know personally most of the preachers on this show and I don’t know if it’s necessary or helpful to display them in this manner. Throughout the show we saw Bentleys and Rolls Royces and Hummers and other luxury cars – there’s not a thing wrong with it. But it was so prevalent that it overshadowed things like Haddon’s rehearsal or Ron Gibson’s interaction with the gang community of L.A. – which I thought was the best portion of the program. Note to Oxygen – I don’t care about how many cars Noel Jones drives – all I want to know (and remember) is that he is a dynamic preaching vessel of the Lord – period. The same goes for Wayne Chaney – his PDA thing is HIS business and I don’t see how that added to the show – but it does set up a suggestion that they’re going to “go there” later this season. Hollywood thinks that the sermon is the crescendo of the preacher’s messages. Rarely did I see any of the opening minutes of any of the sermons by Jones, McClendon, Jay Haizlip, Gibson, Haddon or Cheney. The energy of these preachers at the end of the sermon is similar, but the forthtelling at the beginning of the sermon which sets up that crescendo is at the beginning. It’s celebrating gravy instead of the meat. When Jones was preaching and he swung his arms and didn’t say anything, I suspect that earlier in the sermon he alluded to the motions, but it didn’t convey. Again, I know many, many L.A. Pastors and most of them do not “roll” like this. The average church in America is less than 125 persons strong and most of them don’t have 2 or 3 revenue streams as Haddon was discussing – and that conversation bothered me personally. I’m not, personally, in ministry just to generate one or many revenue streams. I’m in the ministry because I was called to it – not to the fame nor fortune. If it happens, it’s by the grace of God and if it doesn’t it’s still by the grace of God. 99.9% of pastors that I know don’t sit up all night conceiving of new revenue streams. I’m saddened by this series and personally, I think it’s a big mistake – but unfortunately when I saw it on Oxygen’s site and they had it marked episode 101 – that means they’re planning on more to come. We shall see. Dr. Mack King Carter, prolific preacher/pastor/teacher whose ministry catapulted the New Mount Olive Baptist Church from 2,800 members to well over 10,000 – and established a television ministry and community development corporation, went home to be with the Lord after a brief illness. He was 66. Dr. Carter was a native of Ocala. He received an Associate of Arts degree in 1967 from Central Florida Community College, a Bachelor of Arts degree in 1970 from the University of Florida, a Master of Divinity degree in 1976 from Southern Baptist Theological Seminary and a Doctorate of Ministry degree in 1978 from Southern Baptist Theological Seminary. He also did additional studies at Florida Memorial College in Miami, and received honorary doctorate degrees from Bethune-Cookman College and Florida Memorial College. Prior to accepting the call to pastor New Mount Olive, he pastored the Calvary and St. John Baptist Churches, Ocala, Florida and Green Castle Baptist Church in Prospect, Kentucky. He also authored four books: “A Catechism for Baptists,” “To Calvary and Beyond,” “A Quest For Freedom” and “Interpreting the Will of God.” He served New Mount Olive for 27 years. Following his retirement in 2009, he continued his preaching and teaching ministry. 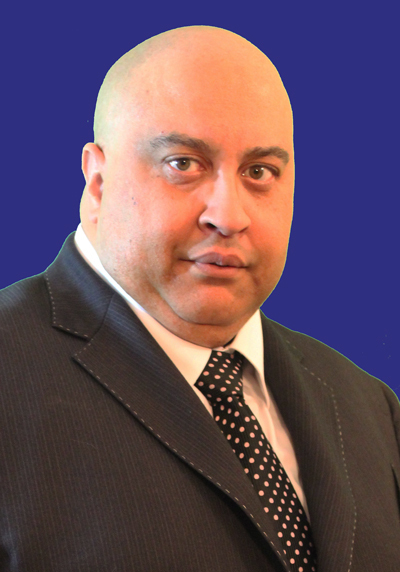 For years, he was an instructor in the National Baptist Convention, U.S.A. Inc. Congress on Christian Education. He also served denominationally in local and state districts and associations, respectively. He joined New Birth Cathedral of Faith International in Miami, where Bishop Victor T. Curry is the pastor, and taught a Bible class at that church and at St. Ruth Missionary Baptist Church in Dania Beach. Survivors include his wife of 40 years, Patricia A. Thomas Carter; daughters Annalisa Robinson-Melton and Pamela Latrice Johnson; and grandchildren Brittany N. Robinson and Carter Nathaniel Johnson. Services are pending and will be announced at a later time.